The secretary-general of Amnesty International, Salil Shetty, on Saturday visited the rights group’s Turkey director, İdil Eser, in an İstanbul prison and called for her immediate release along with that of seven other activists being held in pretrial detention for allegedly aiding a terror group. Underlining that there is absolutely no evidence against Eser and the jailed activists, Shetty said he spoke with Turkey’s Justice Minister Abdülhamit Gül to allow Eser’s friends to visit her in prison as she has no immediate family. 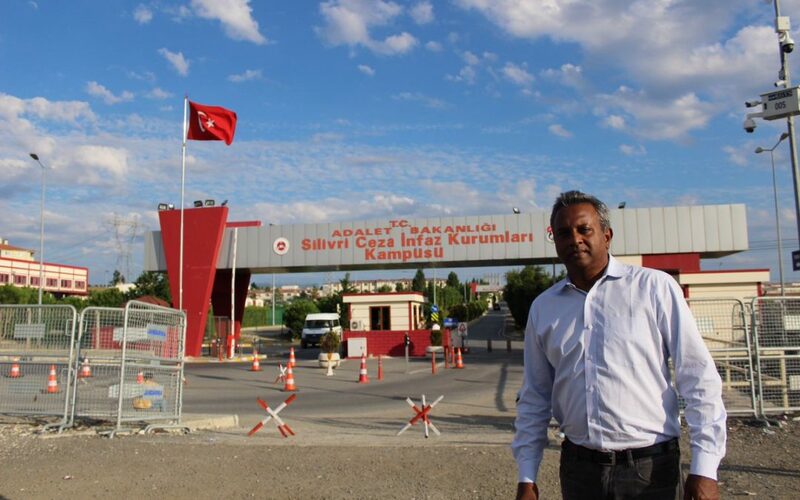 “There is absolutely no evidence against the people who were in the Büyükada workshop,” Shetty said. Amnesty’s Turkey Chairman Taner Kılıç was also arrested in June, accused of using an encrypted mobile messaging application, ByLock, allegedly used by Gülen movement followers. “Our call is very clear: These are human rights workers. They were doing nothing unlawful, they should be released immediately and unconditionally,” Shetty said. Turkish President Recep Tayyip Erdoğan accused the human rights defenders of plotting a follow-up to the July 15, 2016 coup attempt, during a press conference in Hamburg on July 8. The arrest of the eight activists has added to widespread concerns about the erosion of rights and freedoms in Turkey. More than 58,000 people have been arrested and nearly 125,000 detained after the failed July 2016 coup, including journalists, politicians, judges, prosecutors, soldiers and police officers, while more than 195 media organizations and nearly 2,000 NGOs have been shuttered.